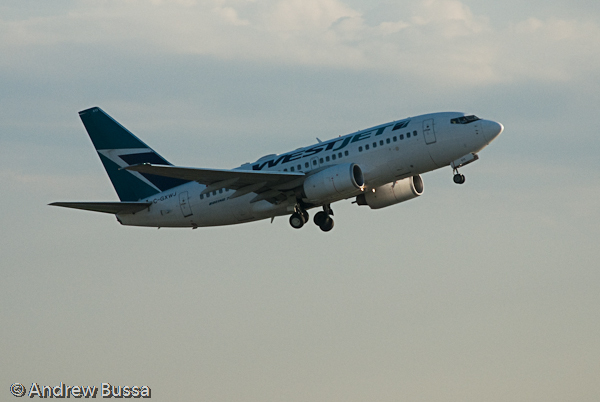 WestJet today announced its selection by Aviation Week as a top 10 international airline. The study ranks airline carriers across the world by their annual revenues, using financial and operational data to rate publicly traded airlines in five different performance categories. WestJet is the only Canadian airline and one of only two North American airlines to appear on this year's list. In May, WestJet announced record first-quarter net earnings of $68.3 million, the airline's 28th consecutive quarter of profitability. I doubt any airline will win the Nobel Prize for economics any time soon. But WestJet, Canada’s “preferred airline” (their words), has been profitable every quarter for the last 7 years and that is something special. WestJet operates a fleet of 737 to 76 cities. No CRJs and no wide bodies. Sounds like Southwest. Unlike Southwest, they fly to several countries allowing them to serve additional profitable markets for both business and leisure (you can be a pure play domestic airline in Canada, but you need to focus on the way up north, like First Air and Canada North). WestJet also codeshares with American and Delta to bring in more traffic and offer more destinations for customers without changing their fleet make up. These WestJet guys have quietly found the formula for a profitable airline. That might be worth a trip to Stockholm after all, on a code share partner of course.